I spent a long while, years, decades, arranging to come back home to Ireland. I finally made it a few years ago and have no qualms at all about my decision. It was absolutely the right thing for me. I love being back home in the land of my ancestors. It feels right. I moved away from all my networks and my friends and my contacts in London and moved back to Ireland where I really didn’t know anybody. I left Ireland over 40 years ago and, apart from regular holidays, I didn’t really have much contact with people here or what’s been happening in my absence back here. I also started a therapy business in Dublin and that’s successful beyond my wildest dreams and gives my life a lot of meaning. So, you would think wouldn’t you, that upheaving again would be crazy; I’d be a right eejit to even think about it, right? Of course I would. A completely mad eejit. Well, guess what? I’m a completely mad eejit, so I am. A few months ago, I was looking at something on Facebook or Youtube or some other form of mindsoupmaking shite. I think it was about cats or something so corrosively sticky and sentimental that my teeth fizzled and I rapidly moved on to something else. I came across a link advertising a job in Hong Kong as an addictions counsellor. My first response was, feck it, no way, I’m done with travelling; I’ve done the Asia thing; jaysus, I’m an auld fella now etc, etc, etc. But, as you do, in a moment of divilment, I sent off my cv and promptly forgot all about it, as you do. A few days later, I got an email from Chiang Mai in Thailand, the headquarters of the organisation. They said that they were interested and would I like to have a chat with them by phone. I had a series of calls and eventually I was shortlisted and then the list shrank to two people. This was around April. I was in two minds at the time and postponed making any decision until a firm job offer was made. This meant that I didn’t have to engage emotionally and thus prevent worry and anxiety. Being a queen of denial in a previous life, this comes to me very naturally. My head said yes but my heart was undecided. When in doubt, do nought. Eventually, around the end of April, I got an email from Thailand telling me that the other person got the job as he had some skills I hadn’t got. I was mildly disappointed but not too much as I hadn’t really allowed myself to desire the job. So, I brushed myself down, picked up my mouse and went back to Facebook again to look at cats wearing hats; while the world burns. A week or so ago, I got another email from Thailand telling me that the guy who got the job was leaving because he missed his family. Would I still be interested? At that instant, my heart engaged with my head and I said that I would. More phone calls followed and last Wednesday, I was officially offered the job. At that point, my guts engaged and the decision was made. I leave Dublin on 20th of next month. I’ll spend a few days, maybe a week, in Thailand and then fly down to Hong Kong and start work a few days later. Done and dusted. When they first told me that the other guy got the job, they also told me that there was a vacancy in the inpatient rehab in Chiang Mai and would I be interested. My immediate thought was, No, I wouldn’t be. I’ve worked for years in rehabs and the idea of going back again to work as a basic grunt didn’t appeal to me at all. I’m sure I’d be effective and I’ve no doubt that I could do the job. I would do the very best I was capable of, give it 101% but I’d get bored and restless quite soon. So, I parked the idea of going back to Asia and got on with my life here in Dublin, which is absolutely fine. 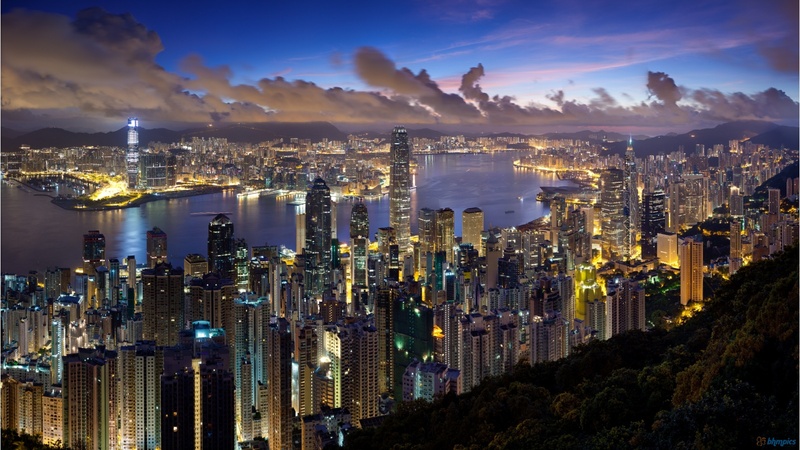 The job in Hong Kong is in an outpatient setting and working with clients who are in the community and quite likely holding down jobs. This work is interesting to me and demands much more of me as a therapist. I need to engage strongly and immediately with them. To be honest. My main reason for saying Yes is not just the job, as important as that may be and as grateful as I am to have been offered the job. I don’t need a job. I have a successful and growing practice here in Dublin. The real reason is Asia, especially China. China has fascinated me for ages and the opportunity to work work there and also travel around this vast country is irresistible. I particularly enjoy travelling by train. China has one of the biggest and busiest rail networks in the world, and trains link almost every town & city. Chinese trains are a safe, comfortable & cheap way to travel around China, and a Chinese train journey is an experience in itself, in contrast with less reliable and environmentally-unfriendly internal flights. I want to do as many of these routes as possible on long weekends and holidays. When I eventually leave, I’ll take a few months to travel back to Dublin, via Holyhead, spending as much time as possible in Mongolia and other Central Asian nations; all the -stans from the old Soviet Union. 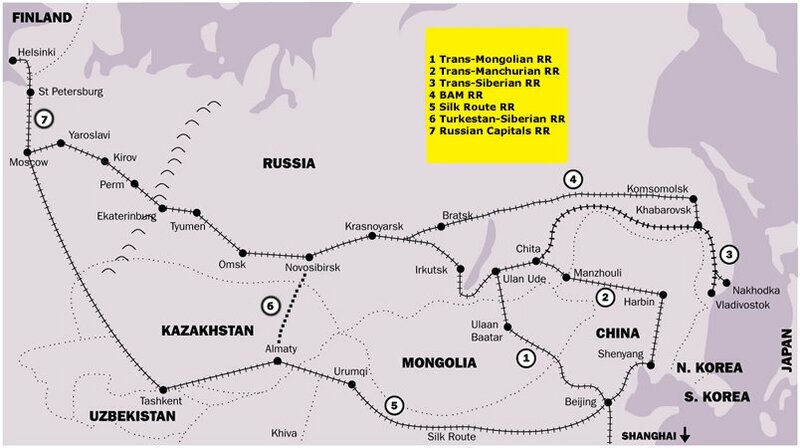 A journey from Hong Kong to Beijing on a sleeper train lasts 24 hours. You leave at 3pm one day and arrive at 3pm the next day. It costs US$75 for hard sleeper, $120 for soft sleeper and $155 for deluxe soft sleeper. Hard sleeper is more fun and fine for a single night and a great way to meet people but I would prefer a soft sleeper on longer journeys. 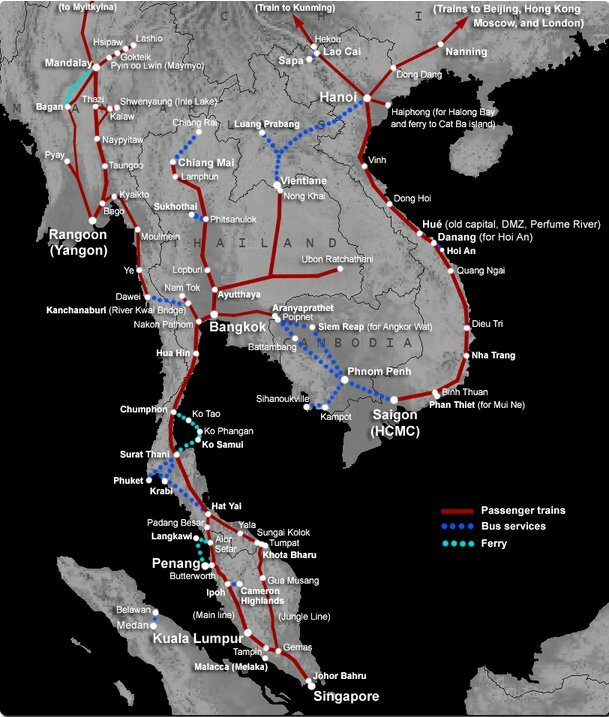 Two years ago, when I was working in Thailand, I travelled almost 9,000km across SE Asia on train, mainly soft sleeper. I spent 3 weeks travelling from Bangkok to Singapore staying a lots of places on the way. This was 2,5000km each way. I did a second trip from Bangkok to Cambodia, Vietnam, Laos and back again to Bangkok and staying at lots of cities and towns on the way. This took about 4 weeks and was over 4,000km. I have great memories of these places and the experiences I had while travelling. But all this will be just like a ramble in the park compared to some of the seriously long journeys I have planned while in China. I’ll keep doing this blog while over there so keep looking! Well, I did it. I am on an open break and moved to Italy enjoying the slow pace and my olive groves. Travelling through Europe, Island, Nepal, India, etc. I share your enthusiasm for South East Asia. I spent about 20 years working in the region loving the people. Bla, Blaa; Blah, Blah, Blah.